Throughout history, the shape of women's clothing has been in a state of constant change. Every time fashion shifts, undergarments have to shift to keep up. Were this not the case, women everywhere would be wearing a corset and hoop skirt under their T-shirts and jeans. In the mid- to late-1800s, the correct undergarments were just as important as the clothes that went over them. A large part of 19th century fashion was shaped by various forms of the crinoline. In 1837, Queen Victoria ascended the throne of England and overnight, fashion began to take its cue from the new queen. 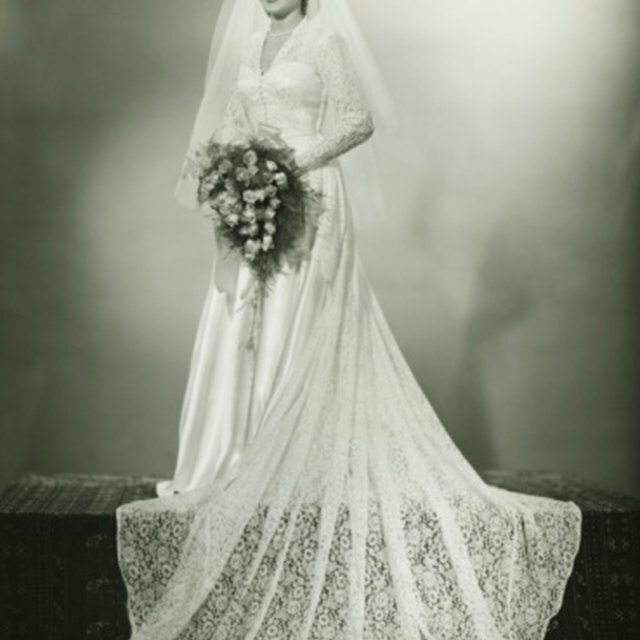 The new dress style was a low-waisted angular garment with voluminous skirts that required several layers of petticoats. These layers could be hot and unhygienic, so designers set to work creating new supports for these skirts out of metal, whalebone and stiffened petticoats. The most popular of these new petticoats was a new fabric, crinoline, made from a combination of linen and horsehair. Even a stiff fabric like crinoline was no match for the heavier skirts of the late 1850s, and the added weight of numerous petticoats continued to be a problem. Enter the cage crinoline. Patented by American W.S. Thomson in 1858, the cage crinoline was comprised of a series of flexible steel hoops with no covering fabric. The hoops were held together by cloth tap and graduated from smaller to larger, starting at the waist creating the bell shape we associate with the fashion of that time. This new design was much lighter, but it was sturdy enough to support the heavy gowns. Although the cage crinoline was not made of crinoline fabric, the term "crinoline" became synonymous with any garment used to support a large skirt. By 1860, skirt width had maxed out and the large bell-shaped skirts started to go out of fashion. As the skirts changed, so did the crinoline underneath. The new style became what is known as a crinolette, which was reminiscent of the Polonais popular in the late 18th century. The crinolette still attached at a woman's waist, but the front and sides flattened out, leaving the dome shape only in the back. This style was popular from 1867 to the mid-1870s. 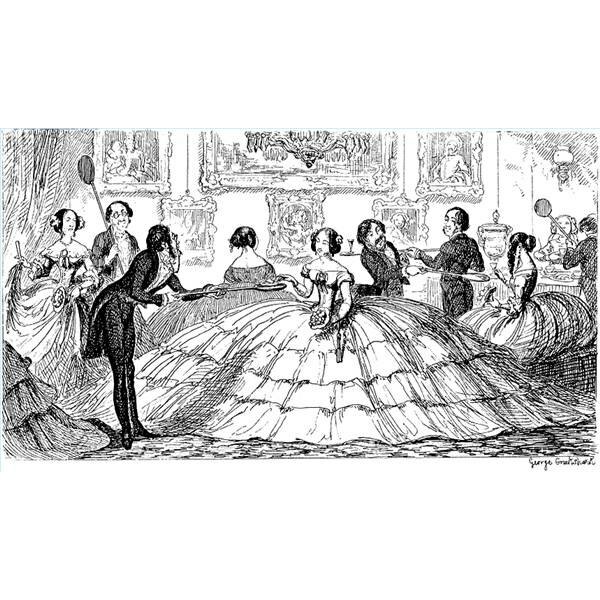 In the mid 1870s, the skirt portion of the crinoline fell away and the bustle was born. Like the original crinoline, the bustle was also stiffened with horsehair and added support to the back side of a woman's dress, highlighting her posterior region. Bustles came is several shapes and styles and, like the crinolettes, most had lacing to tie around the waist or attach a lighter weight petticoat. After the Victorian era, crinolines fell off the fashion map until their revival in the 1940s and 50s. These crinolines were much shorter and were used to add volume to knee-length skirts popular at the time. Unlike their predecessors, these crinolines did not employ the use of metal bands and were made entirely of fabric. Today, crinolines are mostly seen in formal wear like wedding gowns. Like the crinolines of the 1940s and 50s, these skirts are are usually constructed of fabric only, but unlike crinolines of the past, the fabric is usually synthetic.